Why Are Hazelnuts Called Filberts or Cobnuts? Why Are Hazelnuts Known as Filberts? If you're a fan of hazelnuts, you might know that these nuts are also described as filberts or cobnuts, but do you know why? Find out how hazelnuts got these names, where they tend to be grown, and the controversy surrounding the world's most popular hazelnut spread. Catholicism is thought to be responsible for the fact that hazelnuts are widely known as filberts. That's because the feast day, or celebration, for France's St. Philbert is held on Aug. 20. This happens to be the same time that hazelnuts are ready to be harvested. Because of that coincidence, in Europe, where hazelnuts are widely eaten, the nuts are known as filberts. On the other hand, some historians believe the term filbert derives from the German vollbart. The word means "full beard," which the husked shell of the hazelnut resembles. Although the terms filbert and hazelnut are used interchangeably, filbert typically refers to commercially cultivated crops of hazelnuts. Hazelnuts may be filberts in Europe, but across the pond, they're often described as cobnuts or plain hazels. Although some experts say cobnuts are a different variety of hazelnut, any distinctions in type are hard to see once the nuts are shelled. They are just too difficult to tell apart with the naked eye alone. In Europe, France, Spain and Italy are the epicenters of hazelnut production, but in the U.S., Oregon has that distinction. That state reportedly grows 98 percent of hazelnuts cultivated in America. 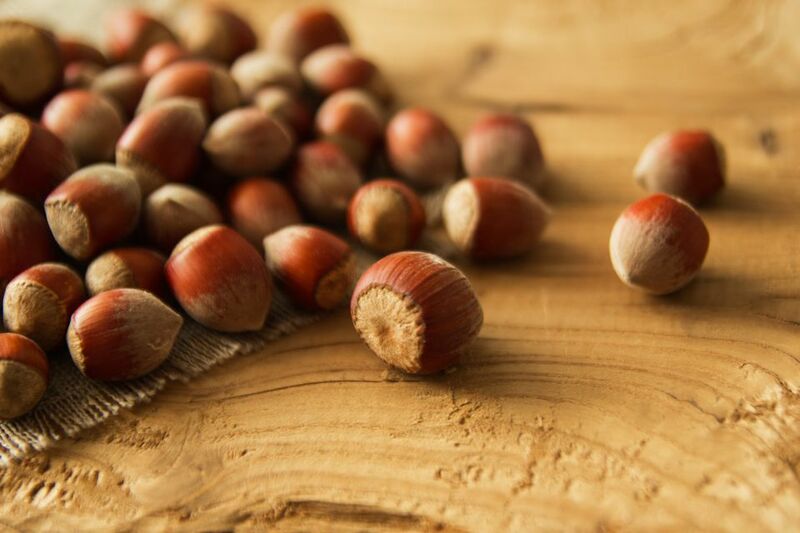 By far, most hazelnuts are grown in Europe and the Middle East, specifically Turkey. Most Americans are familiar with hazelnuts because of the global popularity of the delicious French spread Nutella. At the beginning of 2017, however, reports circulated that the palm oil in Nutella causes cancer. The makers of Nutella deny the claim, but that didn't stop some stores from removing the product from their shelves. According to the Montreal Gazette, the panic about Nutella stems from a European Food Safety Association finding that processed palm oil byproducts may increase the incidence of cancer in rats. But the EFSA never singled out Nutella or told the public to stop eating foods containing processed palm oil, the Gazette reported. Several other foods are made with palm oil as well, including margarine, cookies and chocolate, but the press may have zeroed in on Nutella because that brand name is recognized across the world. Unfortunately, reports of the tenuous link between Nutella and cancer may have an adverse effect on hazelnut production. Only time will tell if Nutella, and by association hazelnuts, can rebound from the negative press. Should I Soak Wooden Kebab Skewers Before Cooking? When Is Milk Curdling a Good Thing?